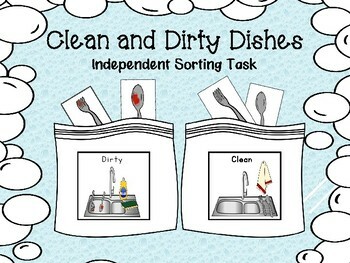 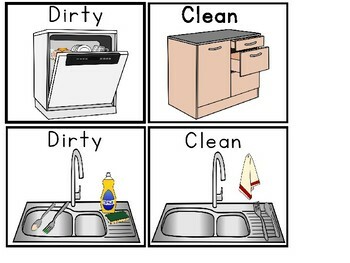 Sorting Clean and Dirty Dishes was designed for learners to distinguish between clean and dirty dishes. 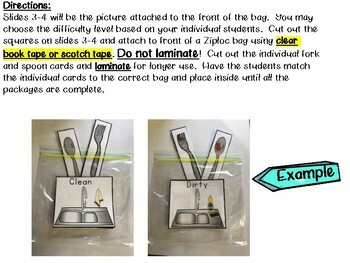 This is a fun functional task that can be used in your classroom as an independent work task or box filler. 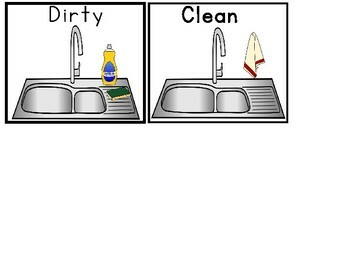 This task is easily assembled and requires no Velcro!